Caravan Clubs: Motorhome Monthly - find the right caravan club for you. 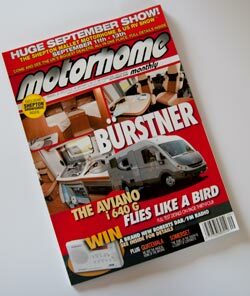 Stone Leisure, publishers of Motorhome Monthly have a number of web sites for motorhome and campervan owners. http://www.stoneleisure.com/ Is primarily about Motorhome and American RV shows organized by the company and has links to other web sites and forums run by Stone Leisure. Subscription to the paper based Motorhome Monthly is an astonishingly inexpensive £12 for 12 months but you can also read the full Motorhome Monthly magazine online with words and images, even adverts online absolutely free of charge. So you can see what you will be getting before you take out a subscription. Stone Leisure have clearly embraced the Intenet Age and their web sites are well worth a visit.